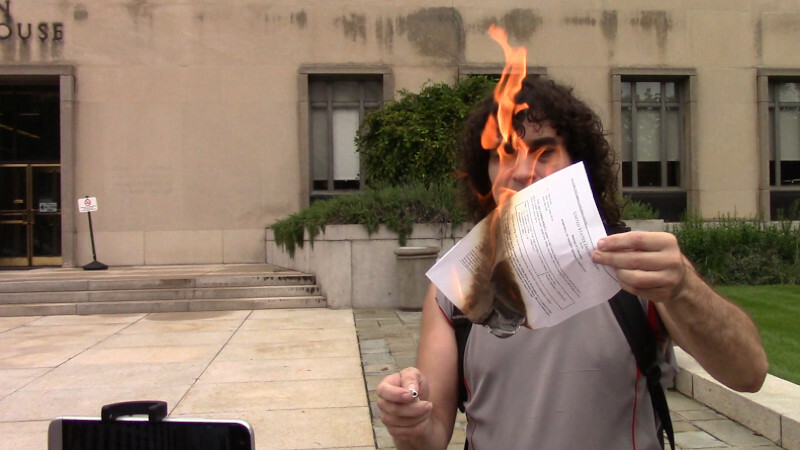 On September 11, 2018, DC Grand Jury resistor Luke Kuhn burned his subpoena outside US District Court. 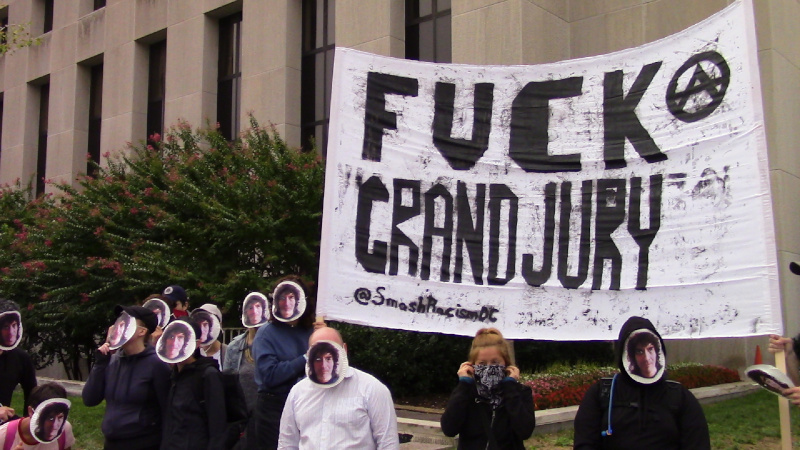 This was after a statement and a march from nearby DC Superior Court, site of the J20 persecutions. 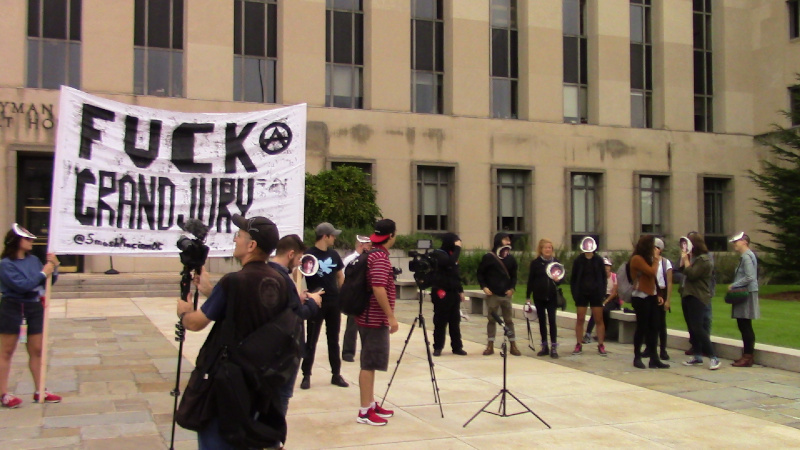 Minutes after the protest ended came word from defense attorneys that the subpeona had been dropped.